I do get the joke... Pi is what's known as an irrational number because it doesn't end or repeat. 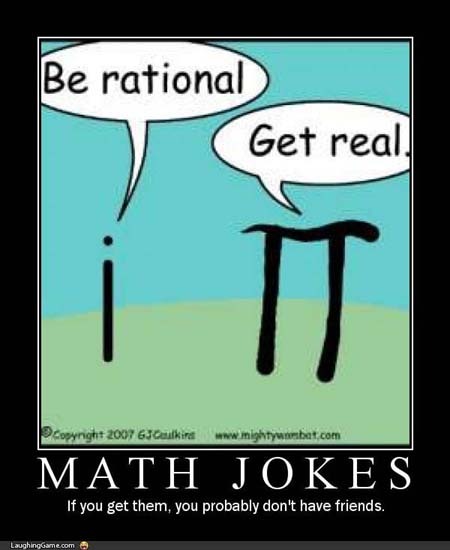 i is a non-real number, the answer to sqrt(-1); a physical impossibility. @ Looney: I have a couple. One is off at college and I don't see the other very often. But I'd have to say most of my friends are virtual.